Acupuncture treatments work cumulatively. The number of visits you need depends on the intensity and origin of your imbalance. As your condition improves, the frequency of treatments decreases. Most conditions take time to manifest, so restoring your body back to optimum health will be a process. In the first phase of care, our main goal is to reduce any unwanted symptoms that you are experiencing. This is the acute stage. The first phase of care is always the most intense and will involve up to two visits per week for a short time. Your symptoms will begin to go away you will be begin enjoying the benefits of good health! Acupuncture is a holistic modality and treats both the branch symptoms and the root cause. Phase 2: Corrective Care focuses on correcting the real problem behind your symptoms. During this phase you will not receive treatments as often as you did in the first stage of care. You will be given exercises, dietary suggestions, and stress reduction techniques that will help speed Phase 2 along. This is an important part of the treatment. Taking the symptoms away is our first priority and then we continue with the healing process. In reality, symptoms may not appear in the body until a condition has already reached it’s advanced stages. For example, a heart condition’s first symptom is most commonly a heart attack. The damage which causes a heart attack, however, was present long before the first symptom. Pain is usually the last thing to appear when a condition exists and the first thing to go when the condition is being corrected. 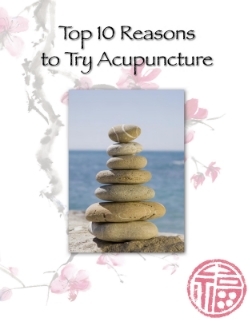 At Kona Acupuncture Studio, we want to make sure that we get rid of the problem that was causing the symptom. After we get a patient through Phase 1, it’s important to maintain care through Phase 2, so that the condition doesn’t come back again. Phase 1, Relief Care, consists of relieving a patient of their symptoms. This is usually the easiest part of a treatment plan, if you stop, then the chances of your condition reoccurring are much greater. It is important to not get discouraged if you have flare-ups during this stage of care. Flare-ups are natural during this stage since your body isn’t fully healed yet. Depending on the severity of your injury or condition and how long you have been suffering from it, this phase of your care may last several weeks to several months. Maintenance is Key to Healthy Living. Once your body has fully healed, routine acupuncture care can help ensure that your problems do not return. Routine acupuncture visits fine tune your mind and body and prevents injuries and illness. Acupuncture helps you come to life more fully, with more vitality. To prevent illness and promote longevity, the ancients recommended an acupuncture treatment once a month to once each season. It's best to make it a goal to receive a relaxing treatment once a month for maintenance. Empower Yourself. Sign up to receive our FREE eBook!